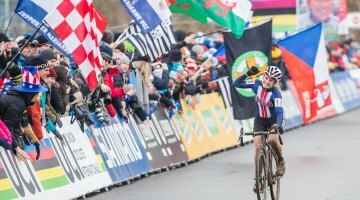 We’re just two weeks away from the 2017 Cyclocross World Championships in Bieles, Luxembourg, and some of Team USA is already in Europe to line up for this Sunday’s World Cup in Italy, then the Hoogerheide World Cup next weekend before settling into Luxembourg for the World Championships. We’re joining the racers in preparation for Worlds with two Bieles-related videos for you today. The hype machine is already cranking though for the Bieles event, and with the organizers recently releasing the teaser video below. It’s really mostly a highlight package from the 2016 Zolder World Championships, but still either good indoor trainer material or something to address your ’cross fix now that the 2017 Cyclocross National Championships are over (but our coverage is not). Meanwhile, the World Championship course in Bieles, Luxembourg is laid out and under construction. Friends at cycling.be took a very shaky look at the course on what seems like a walk through. Reach for the Dramamine and see what’s in store for the world’s best in the video below. 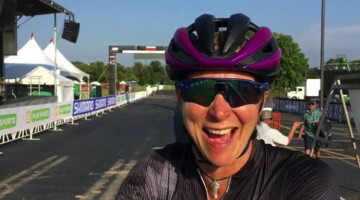 The usual disclaimers apply here, as wide-angle action cameras typically do not accurately depict elevation change (as anyone who raced Hartford can attest to). 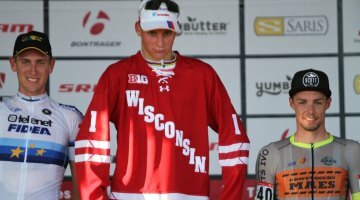 However, even from this video, it seems like the Bieles course will deliver plenty of climbing and technical features. Good luck, Ashley Zoerner. Your course-OWN IT!